Search over 3500 accommodation options - motels, hotels, apartments. Our friendly, professional consultants are pleased to assist you with planning your stay in Napier, Hastings, Havelock North or wider Hawke's Bay. We provide a one-stop online shop for your enquiries and reservations for accommodation. Bookings available for sightseeing tours and activities along with general information about Napier and Hawke's Bay . 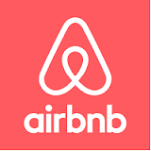 Airbnb is a peer-to-peer online marketplace and homestay network that enables people to list or rent short-term lodging in residential properties, with the cost of such accommodation set by the property owner. Wotif.com is a website that provides a reservation service for hotels in New Zealand and some other countries of the World. We have over 9,000 holiday homes for rent all over New Zealand and hundreds in Australia and the Pacific Islands. Find and book baches and holiday homes online with Bookabach. Purveyors of the great Kiwi holiday since 2000.